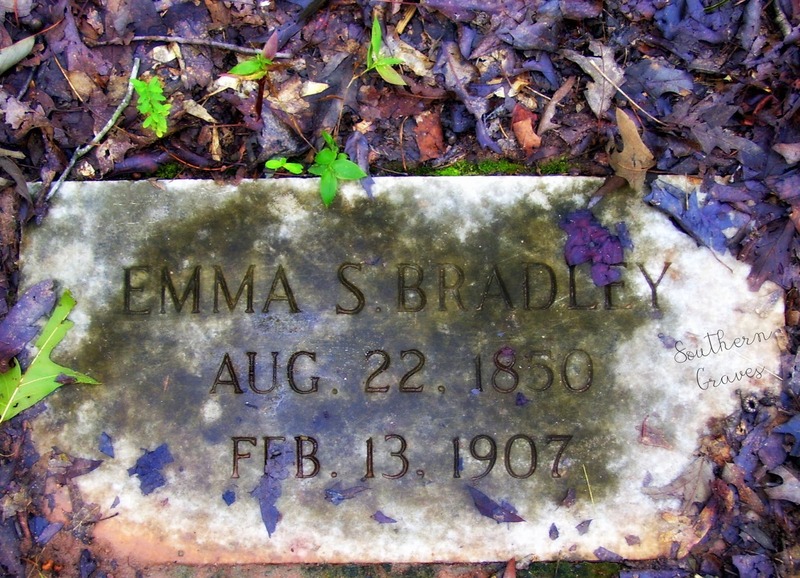 Emma's gravestone in Indian Springs Cemetery at Butts County, Georgia may not have been added until well after her death. Or the carver made a mistake. The death date on the stone and an obituary in a newspaper are a few weeks apart. Death of Miss Emma Bradley. INDIAN SPRING, Ga., Jan. 24. -- Miss Emma Bradley, formerly a resident of this place, died at the home of her sister, Mrs. William Faulkner, near Crump's Park, Macon, Ga. Miss Bardley [sic] was an estimable woman, and the news of her death is a profound sorrow to her relatives and friends. Her remains will be brought here for interment in the family lot at the public cemetery. Funeral services will be conducted at the home of her niece, Mrs. T. J. Sanders.